Here's Q174 today through Prospect Park/Glenolden with a C40-8W sandwiched between two ES40DCs. 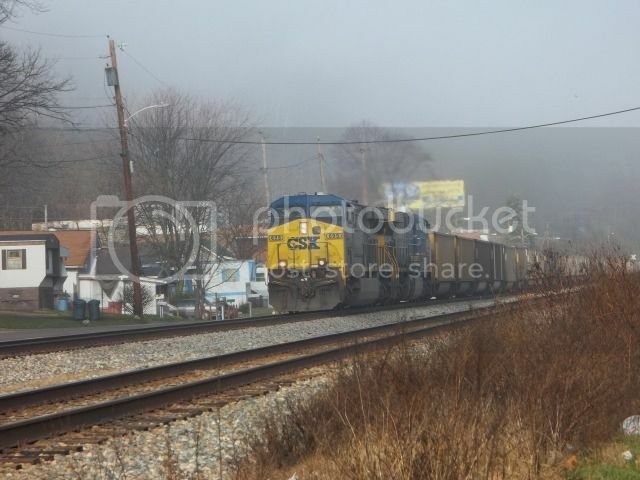 This morning, 3/3/11, I saw the following car on the edge of the West Springfield Railroad yard. I thought it was interesting and it caught my eye because of how narrow it is. The width of the body is about the gage of the track. There are several plows between the trucks and this perhaps indicate its purpose. It was also labled that it was dedicated to a Mr. Pappas. If anyone knows any further information I would be interested. Bridge gets stuck in open position. Operator stuck on bridge. Bridge carries CSX over the Cumberland in downtown Nashville. Five locomotives on Q418 on March 17. CSX train K475 (loaded ethanol, Blair, NE - Winter Haven, FL) sported a Southern Pacific C44AC as a third unit on Sunday May 1, 2011. 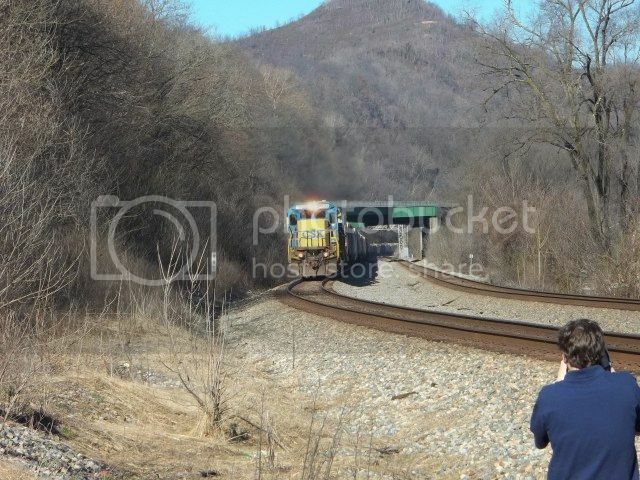 CSX's West Hump in Cumberland, MD! Enjoy! Aug 19: Q418 had the six engines from the combined Q417s plus CSAO Pavonia SD40-2 8830 going out for its 92 day inspection. CSX 6243 shunting 8/4/11 at Beacon Park in Boston. 2 best shots at ROMAR boston. These were all taken on Friday January 6th and Tuesday January 10th, 2012. 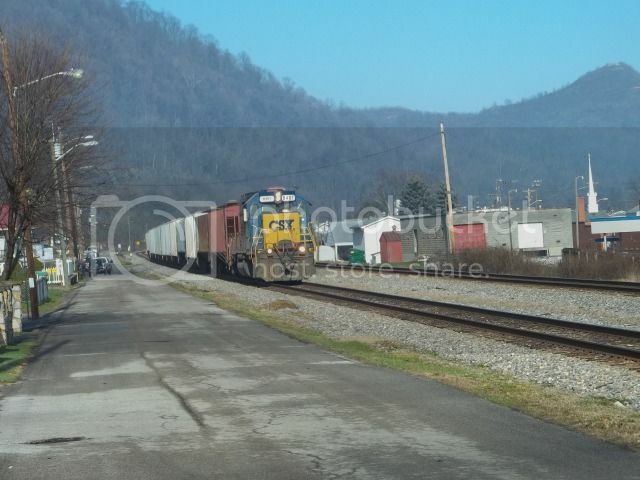 Train G882-04 heading east into town with a veteran GE leader. G852-05 eastbound at Marmet behind the 5459. Diversity In Motion unit 699 and sister 665 lug an eastbound coal train through on a foggy Tuesday morning. Right on the heels of the 699 was the H907 with the CSXT 8407 providing the power.